Thomas Malone leads MIT’s Climate CoLab, which is harnessing the world’s intelligence to save the planet. 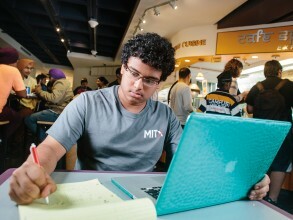 Freshman Ahaan Rungta began solving problems through MIT’s OpenCourseWare (OCW) at age five. “OCW is more than a school. It’s a paradise,” he says. An MIT collaboration is now underway using MRIs to develop innovative conflict-resolution strategies. 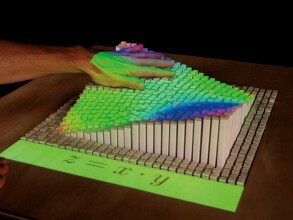 Hiroshi Ishii and colleagues developed an invention that can point, touch, and manipulate objects remotely over long distance. 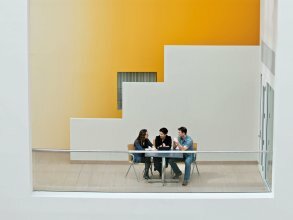 Why an Innovation Initiative Now? 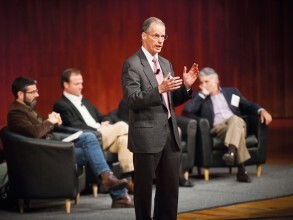 MIT has always been an innovation powerhouse, so why does it need an innovation initiative now? “Without discovery research, without innovation, applied research can only go so far,” says Institute Professor Phillip Sharp. 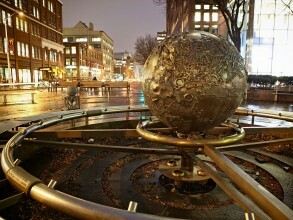 Once lined with old factories and abandoned buildings, Kendall Square is now a global center for innovation. This fall, MIT celebrates 100 years of achievements in aeronautics and astronautics and its amazing history of leadership to the nation and the world. 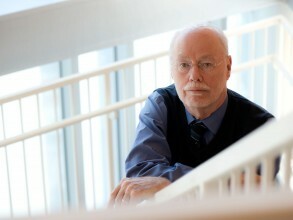 John Lewandowski invents a device that could wipe out malaria. Basic research is the spark that creates new knowledge and solves big problems.